Round, square, small, large, classic or creative – there are so many options for pots and planters, whether alone or as part of a container garden. 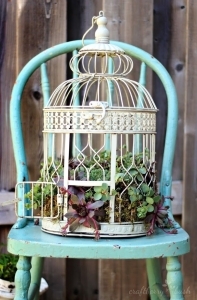 Garden stores carry a wide variety of containers in different styles, colours and materials. Combine pots of different heights and shapes for an attractive container garden. 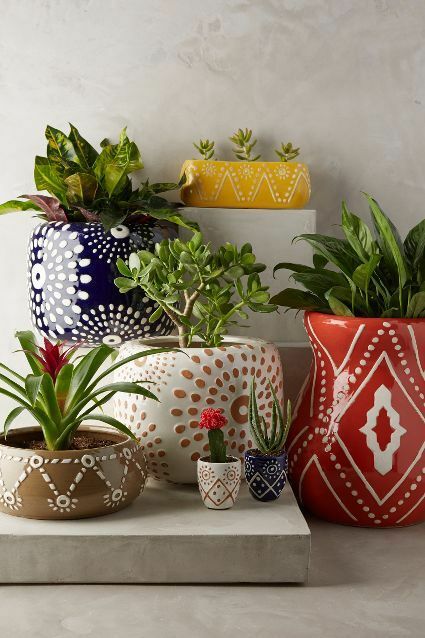 If you like the price, but not the look, of store bought pots, you can update and personalize them yourself with paint, sisal, rope, texture or even mosaic tiles. 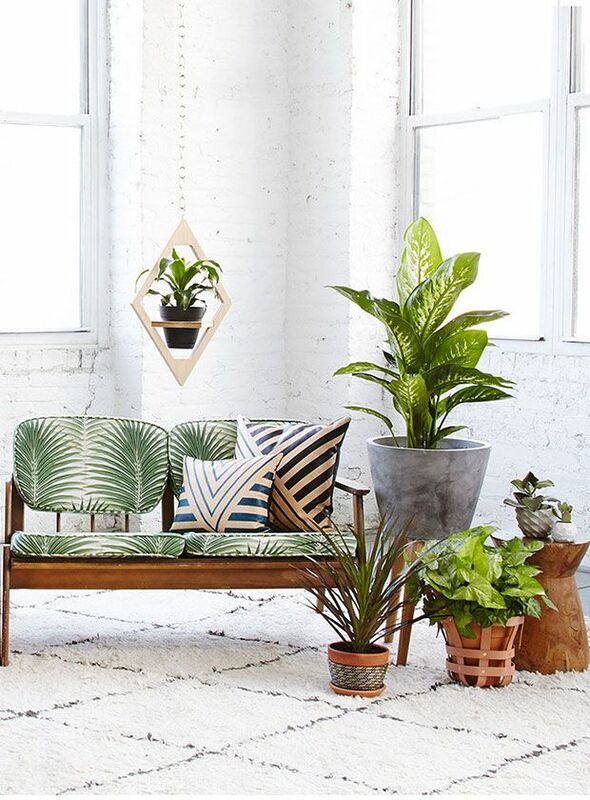 Pots or planters can be used in places where you don’t have or can’t put in a full gardening bed – like around the front door, on a deck, balcony or patio, or around seating areas. 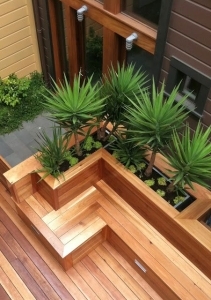 Custom seating with built-in planter boxes gives any outdoor area a style upgrade. Container gardens – whether in pots or plant boxes – give you lots of options and flexibility. You can rearrange your pots and planters throughout the year as the sun moves. Or you can change plants throughout the year to feature different seasonal arrangements. And adding new plantings is as easy as adding a new pot. Raised beds are another type of container planting. They allow easier access, and they look great. 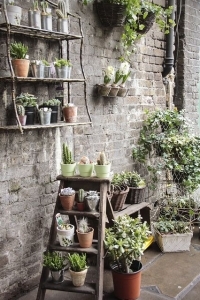 Plant pots can be arranged on the ground, a wall, hanging – even as a centrepiece. Use them to adorn a retaining wall or other area where there’s no garden bed. Don’t limit yourself to traditional pots – anything can be turned into a creative planter. 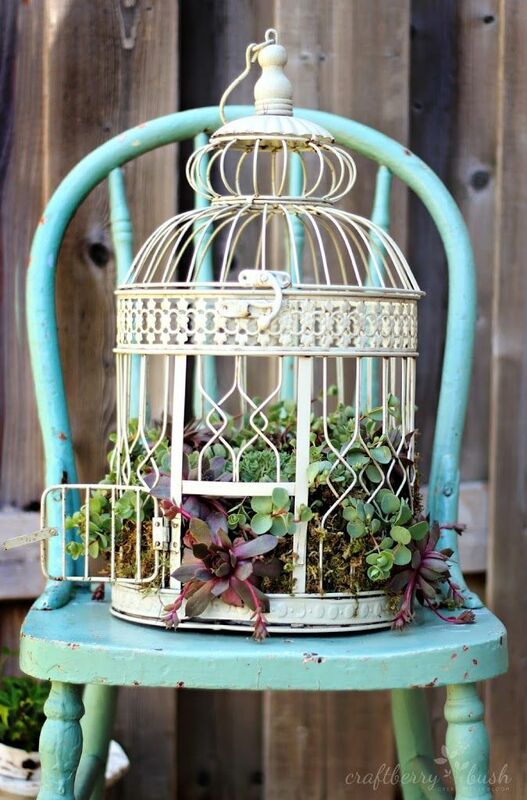 From rubber boots to baskets, wire framed objects like birdhouses, to tires, plastic bottles – or even an empty dresser – combine unusual objects for a unique container garden. 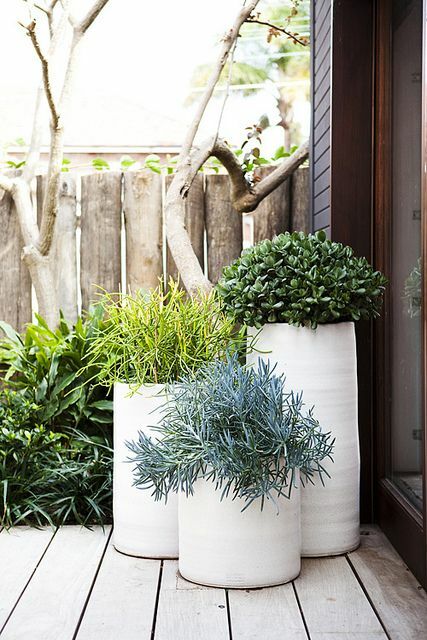 Choose plants that will accent and enhance your pots. Combine for colour, texture and height. Trailing plants are ideal for containers, either on their own or with other plants. And herbs, like mint, that tend to take over a garden bed are perfect for pots in an easy to create and maintain kitchen garden.